Instant Login Manager is a simple app that quickly lets you switch between your Lync and Skype for Business accounts without having to manually sign out of one and into another. 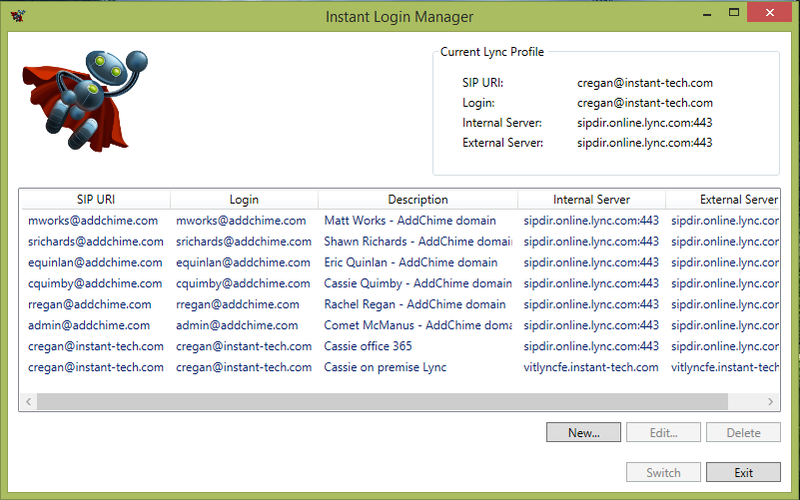 This is perfect for testing Lync accounts that are used by systems or switching between test and production accounts. Add a new profile by entering your Lync or Skype for Business credentials. Then you can switch back and forth between your profiles at the touch of a button.